With an abundance of incredible packaged foods made and sold in Metro Vancouver, there’s much to choose from if you are trying to put together a gift basket sure to impress this holiday season. Whether you’re headed to a relative’s house for dinner, hitting the road to pay a visit, or have a food-loving boss, client, or loved one to buy for, putting together a gift basket can be fun, and the results absolutely delicious. Here are some ideas for what to put in your ultimate Vancouver local foods holiday gift basket. It’s no secret that Vancouver is brimming with incredible coffee roasters, and it can be hard to choose just which bag of beans is best for giving. 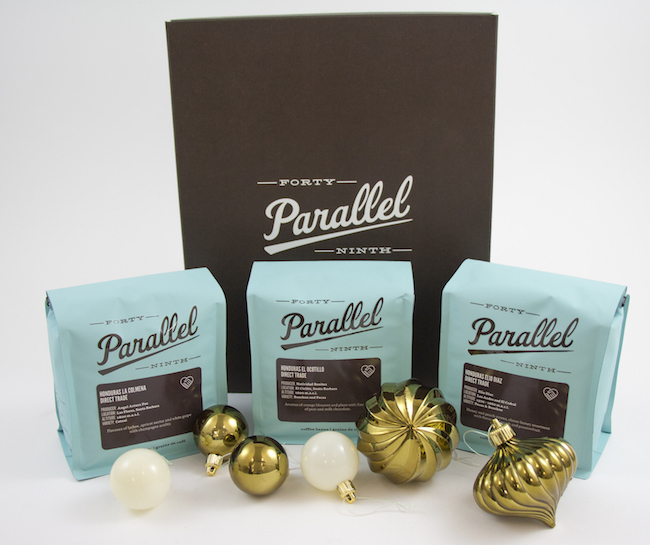 Some of our favourites include Beachcomber Coffee (read our story here), or the Santa Barbara Sampler offered this season by 49th Parallel, which includes three 12-ounce bags of coffee showcasing beans from Santa Barbara, Honduras. 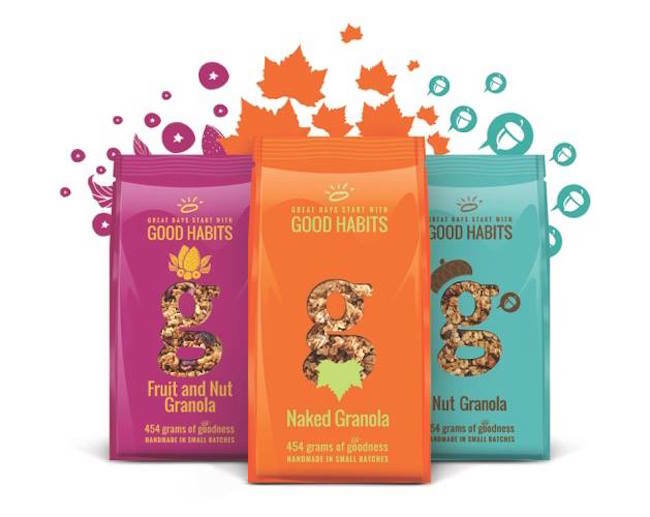 We’re big fans of locally-made Good Habits Granola. Made from scratch in small batches, this company, founded by a pair of dedicated Mom-preneurs bags their granola in plain, nut, and fruit & nut flavours. Check their site for where to find them. Vancouver is home to several incredible chocolatiers and confectioners, so if you’re looking to pop some caramels, candies, or chocolates into a basket or box, there’s no shortage of options (our guide to the city’s indie chocolate shops will steer you right), even if you need something as niche as vegan chocolate (hint: Zimt). Sweeten the season with Bel Café‘s hot chocolate mix or salted caramel sauce, crafted in house by the Hawksworth team. 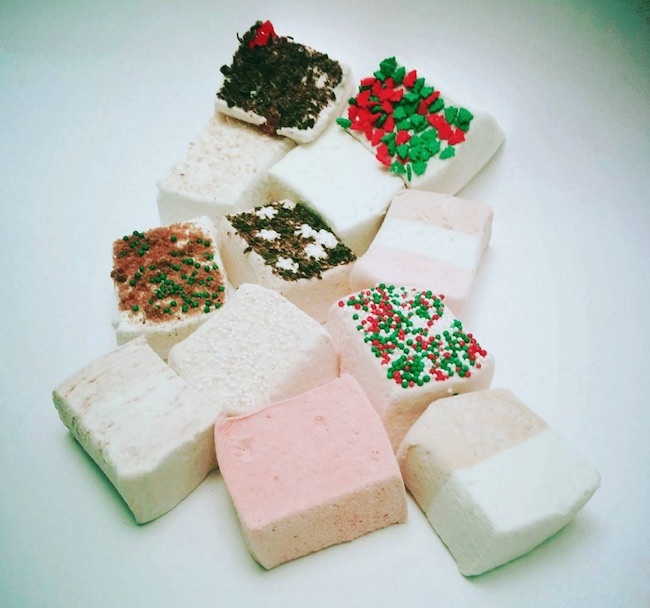 For something a little more playful, grab some of Archimallows‘ fun marshmallows. If you’re shopping for a veggie or vegan who misses the smokey flavour of bacon (who doesn’t?) you might want to grab some of Hippie Foods’ Coconut Chips in the Coconut Bacon flavour (though they also come in plain or Tamari & Cracked Pepper, too). Then there’s Hardbite Chips, which were born in B.C. and are made in Maple Ridge. Flavours include Beet, Carrot, and Parsnip (all made of those veggies, respectively) or traditional potato chips with big tastes, like Sea Salt & Vinegar or Ketchup. If you’re shopping for a die-hard meat lover, they may enjoy craft-style beef jerky in any of a handful of Vancouver-inspired flavours from the Jerky Baron. If you’ve wandered the stalls at your favourite local farmers’ market any time of year, surely you’ve spied some hard-working local food crafters who have made and are selling oils, honey, jams, sauces, and seasonings of all kinds. Three Feet Below make jams, pickles, salsas, sauces and more; Vista D’Oro also makes lovely artisanal preserves (hello: Craft Beer Jam!). 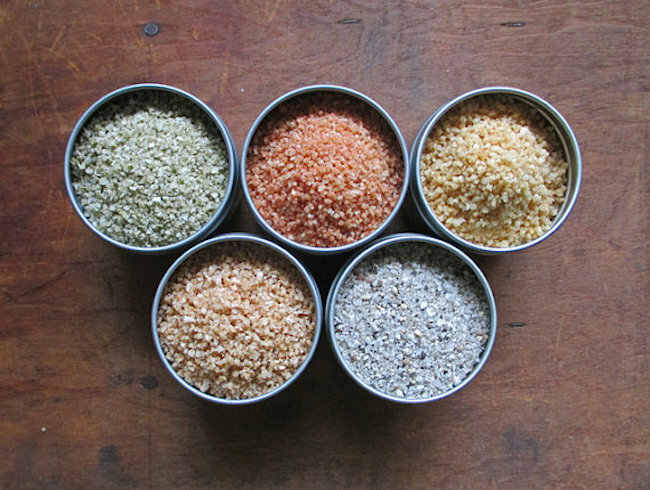 Boost flavours with goods from The Salt Dispensary, and their Fleur du Sel and other smoked and infused salts (they also make caramels, for those with a sweet tooth). Speaking of sweet stuff, don’t forget the bees: There are some terrific local honey-makers and vendors, like the Honey Bee Centre (and their Main Street Honey shop). The craft distillery scene is still booming in B.C., which means you can pop a bottle of any number of spirits in a gift basket. Right in East Van you’ll find Odd Society, who have standouts like their Creme de Cassis, Bittersweet Vermouth, and their Mongrel–the latter a moonshine. 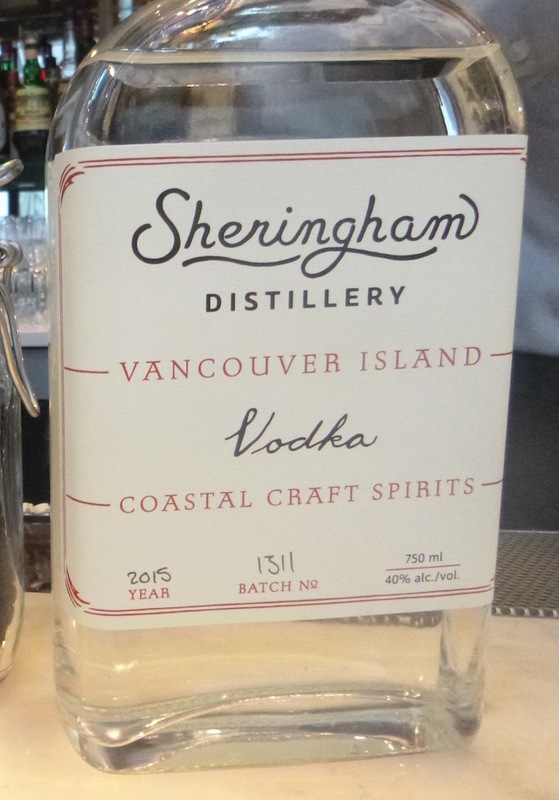 Though many regional distillers start off with a vodka, Vancouver Island’s Sheringham Distillery makes a beautifully complex one worth seeking out (though with the caveat it doesn’t mix well into something like a Caesar). Throw in some small-batch shrubs, like those from Mixers & Elixirs, to help your lucky recipient put something delicious together, or add a few bitters from Bittered Sling. The beer lover on your list will surely appreciate any bottles from Vancouver’s plentiful brewers, but if you want a suds-centric basket of goodies, check out what the team at Brewquet are putting together. Still not ready to shop? The Vancouver Farmers’ Market has a great Holiday Market Gift Guide, featuring ideas showcasing this season’s vendors. Or head to Edible Canada on Granville Island and have them do a gift basket for you.